As shown in the given Tehran location map that Tehran is located in the central-north of Iran. Tehran is the largest and capital city of Iran. 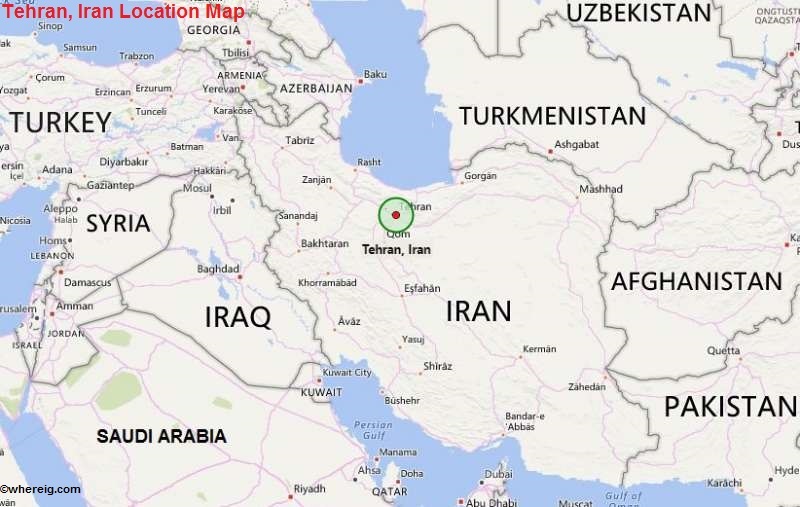 About Map: The map showing location map of Tehran in Iran. The city has very much historical importance because it has historic mosques, synagogues, churches, and Zoroastrian fire temples. Furthermore, at present, city is quite developed and has several tall structures important of them are Azadi (Freedom) Tower and the Milad Tower. Surprisingly, in the year 2008, Tehran was the least expensive capital city of the world. Moreover, Tehran is the economic centre of Iran. It employs about 30% of Iran’s public-sector workforce along with 45% of large industrial firms are located in Tehran but about half of these workers work for the government.